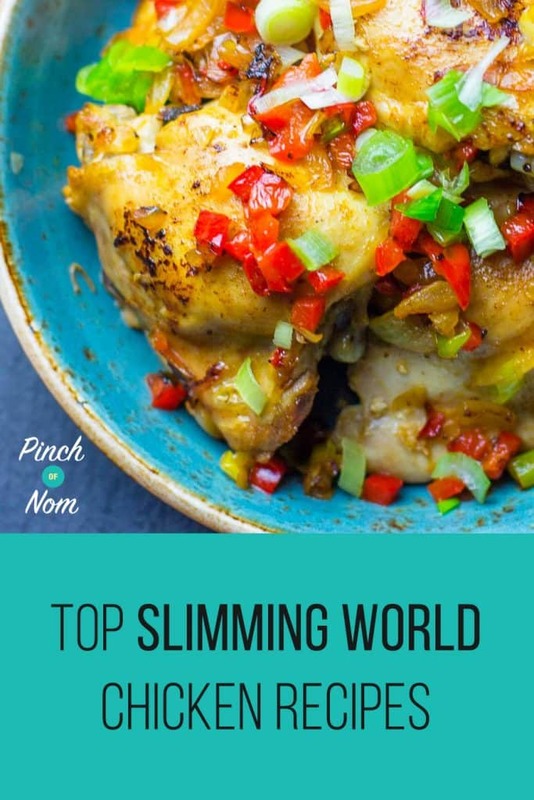 Not surprisingly, our chicken recipes rate as some of our most popular recipes on the site, and we’ve got no shortage of tasty, easy to follow Slimming World chicken recipes for you to try. 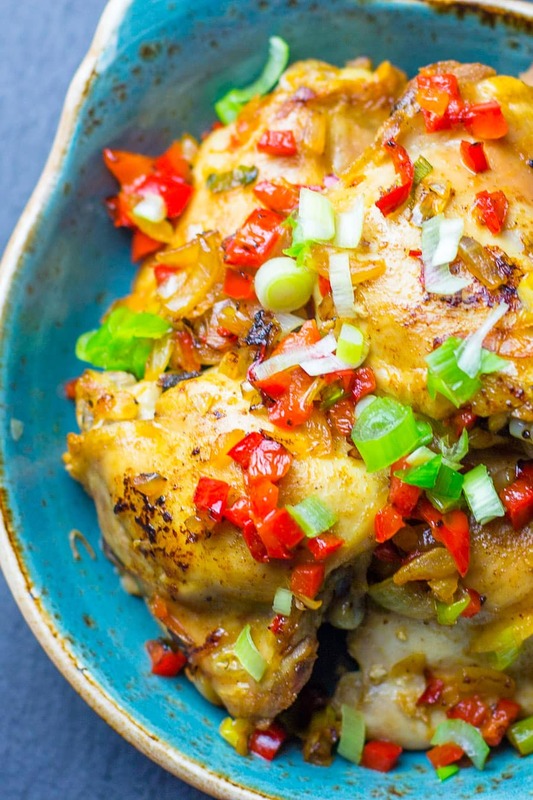 Here’s our top pick of just some of the beautiful chicken recipes we have for you! 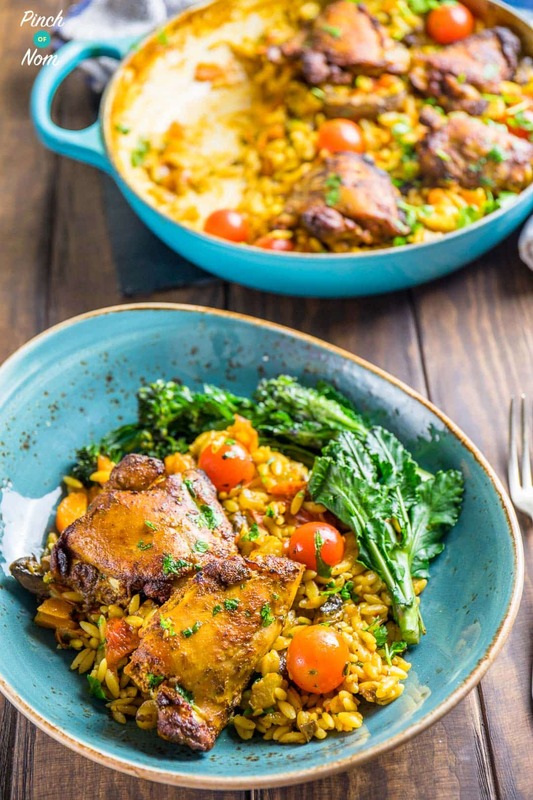 Undoubtedly one of our best looking and best tasting dishes, our Syn Free One Pot Mediterranean Chicken Orzo has been an absolute hit since we published it. Our Syn Free One Pot Mediterranean Chicken Orzo is hugely popular with our readers! Not only is it super easy to prepare and make, it’s also amazing to look at! It’s sure to impress anyone at the table, Slimming World member or not! As the recipe states, you need to just equip yourself with a few fundamental ingredients and kitchen items. However most of these are more than likely lurking in your cupboards. 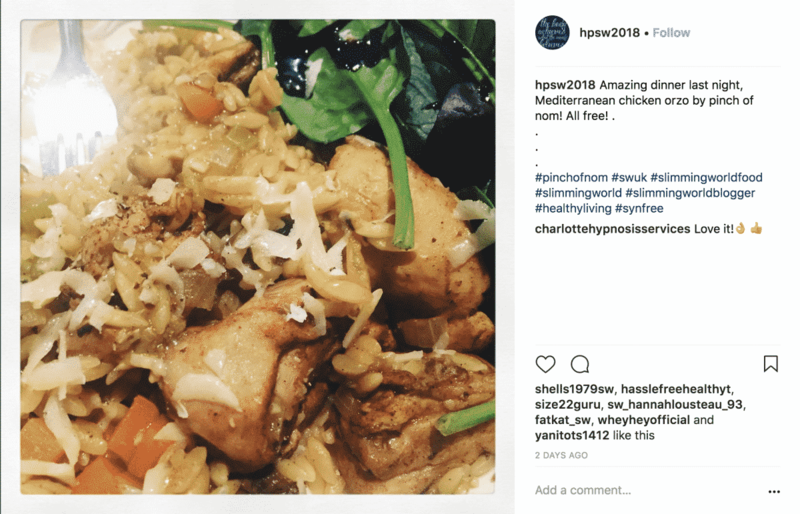 One of our Instagram followers @hpsw2018 made our Syn Free One Pot Mediterranean Chicken Orzo and loved it! 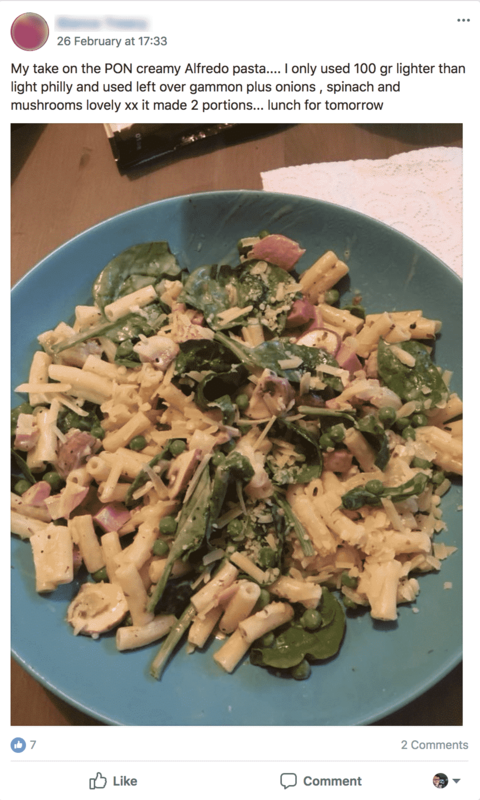 Our Facebook group and Instagram followers love this recipe too, we get fantastic pictures every day of people trying the recipe out with great success! 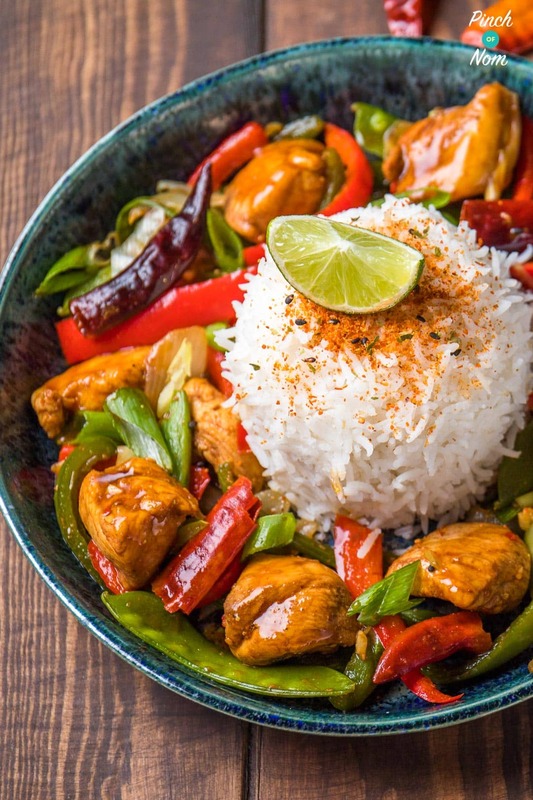 Our Half Syn Firecracker Chicken was inspired by a visit to the Japanese fusion restaurant Wagamama, and in a very short space of time has become a very popular recipe. Our Half Syn Firecracker Chicken really is as good as it looks, if not better! We love taking inspiration from our favourite restaurant dishes. They are usually high in Syns and appear complicated to make, but with a bit of tinkering it’s easy to create a similar dish, without the high Syn value. One of our Facebook group members loving our Half Syn Firecracker Chicken recipe! 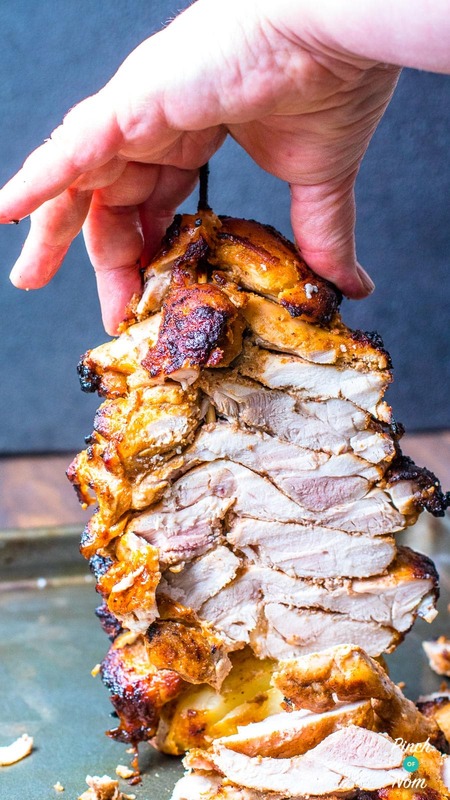 Our Half Syn Firecracker Chicken is probably one of our best examples of a recreated Slimming World friendly restaurant dish, and this certainly shows in the amount of people who have already made it at home! 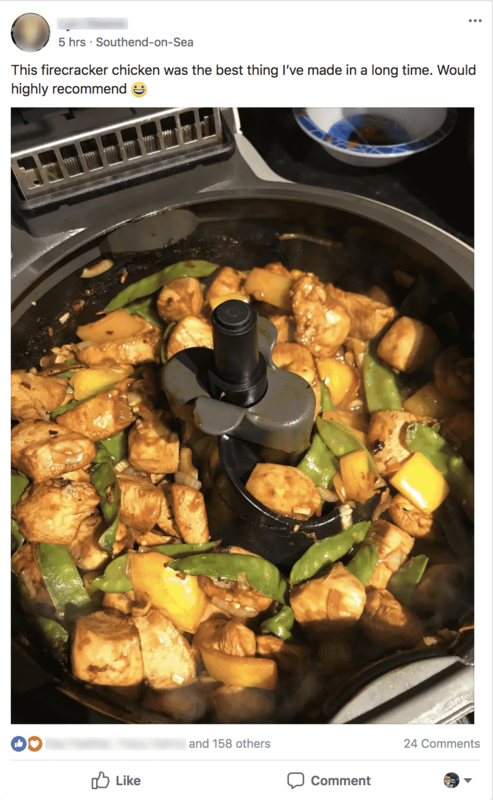 The first of many of our chicken based fakeaway recipes, our Syn Free Salt & Pepper Chicken is yet another popular recipe, especially those who are trying to sway away from their traditional Chinese takeaway dishes! Our Syn Free Salt & Pepper Chicken is just like you’d find at your local takeaway – only better! This dish was indeed inspired by our absolute craving for a Chinese takeaway one weekend. Some experimental cooking and trial and error was able to produce this complete beauty of a fakeaway recipe. The best thing about it, is that it looks like a really complicated and impressive plate of food to cook, but it couldn’t be simpler to recreate this at home. 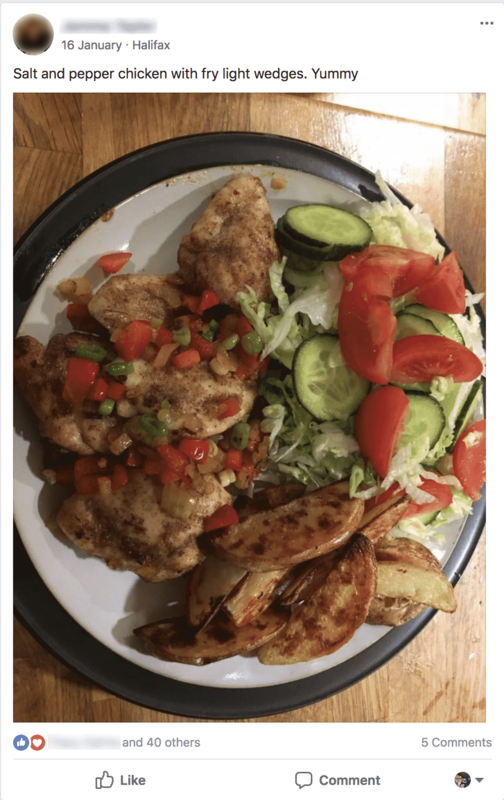 We’re not the only ones who love it, members of our Facebook group are just as smitten with Syn Free Salt & Pepper Chicken, many people choosing to cook it every week in lieu of their old habit of a Chinese takeaway! 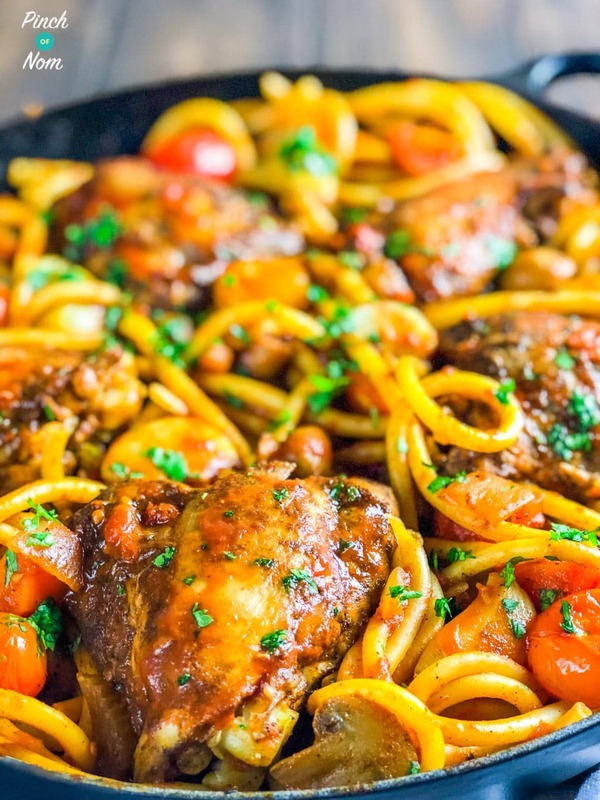 Our Syn Free Baked Spaghetti With Chicken is a really popular dish with families and those cooking for a group of people. It’s so tasty and versatile! Syn Free Baked Spaghetti With Chicken is such a simple recipe, and tastes amazing! As we state in the recipe, you can add what you wish to this recipe when you’re cooking it. Whether that’s more speed foods or extra spice, you can tailor this dish to your exact tastes. 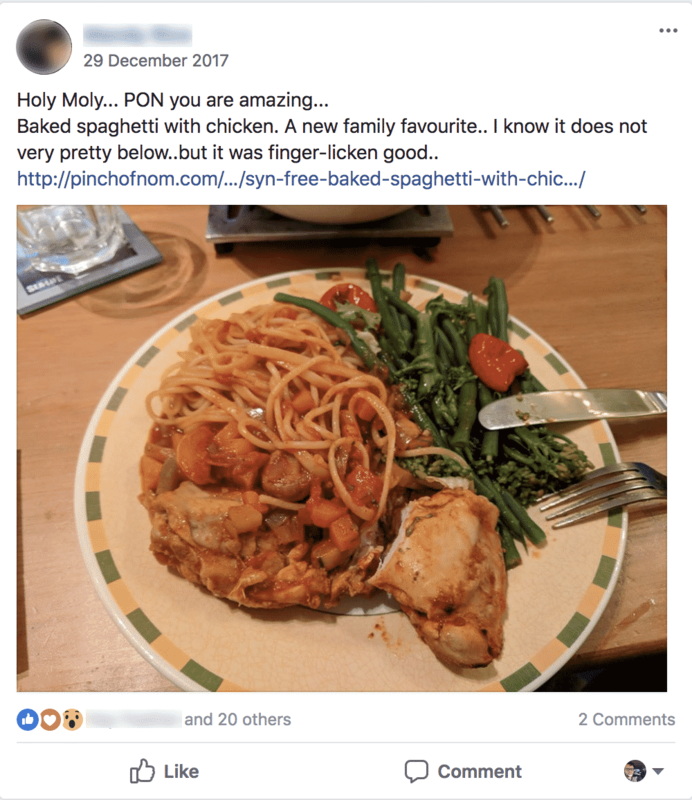 Proof over on our Facebook group that our Syn Free Baked Spaghetti With Chicken can become your next family favourite! We’ve seen many comments over on our Facebook group stating that it’s now become a family staple throughout the week’s meal planning – testament to how simple and brilliant our Syn Free Baked Spaghetti With Chicken really is. Next up is our Syn Free Hunters Chicken. This is another dish that’s been adapted from a usually high Syn popular restaurant option. 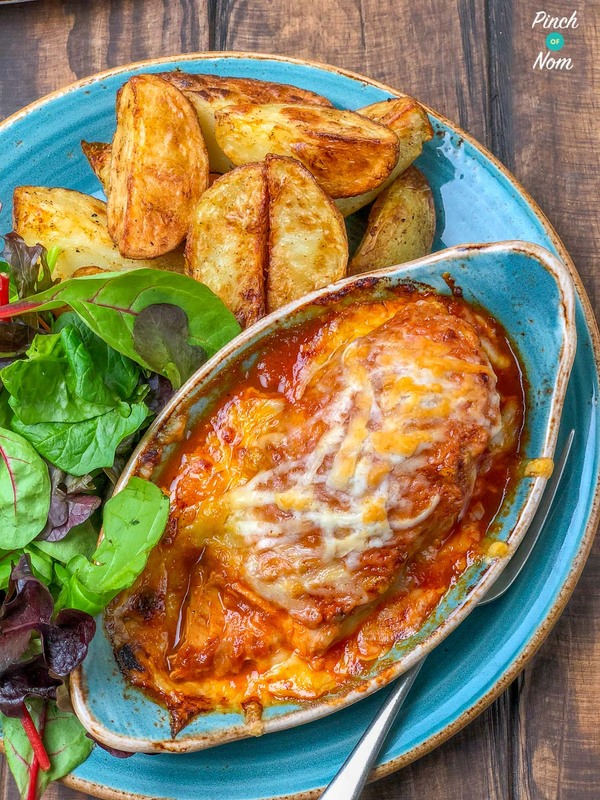 This is a fantastic way of using your Healthy Extras too, with the cheese element of the Syn Free Hunters Chicken taking up just half of your Healthy Extra A allowance. Over on our Instagram page, this dish has proved itself to be tried at home and loved time and time again! 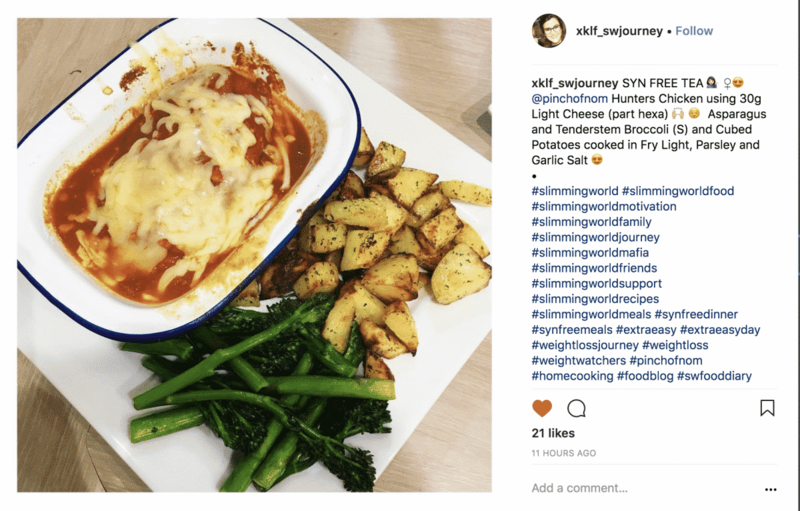 One of our Instagram followers @xklf_swjourney made Syn Free Hunters Chicken and loved it! This is one of our more recent recipes to be added to the website, our Syn Free Chicken Kebab. 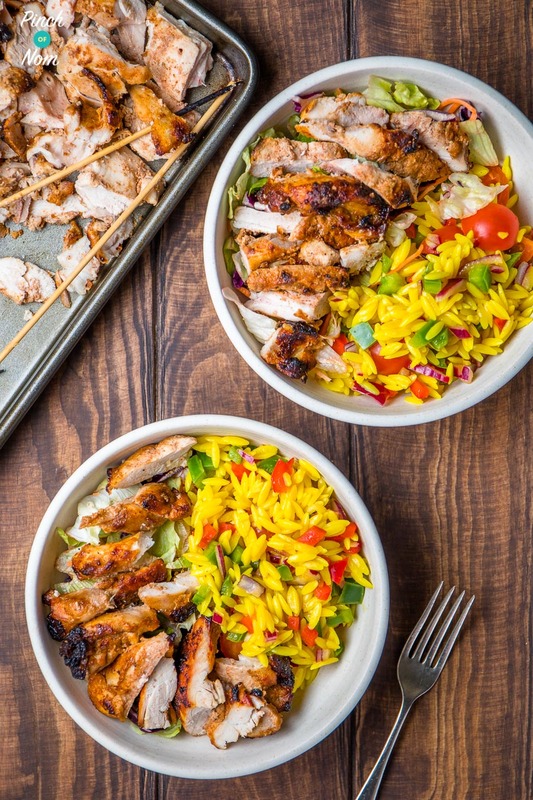 Our Syn Free Chicken Kebab is a surefire hit! It’s often a firm favourite for those on the way home from a messy night in town, and is usually laden in Syns and regret. 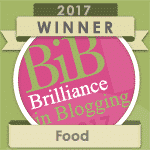 But fear not, our Syn Free Chicken Kebab has none of the Syns, and none of the regret! The method of making this recipe might seem a bit unconventional to say the least! 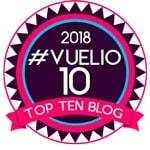 However the seemingly odd way of making Syn Free Chicken Kebab is worth every second, as what you end up with is a brilliant Slimming World chicken recipe. Members of our Facebook group and Instagram page also love this recipe, with many having a brilliant go at it and ending up with an absolute winner as the end result! 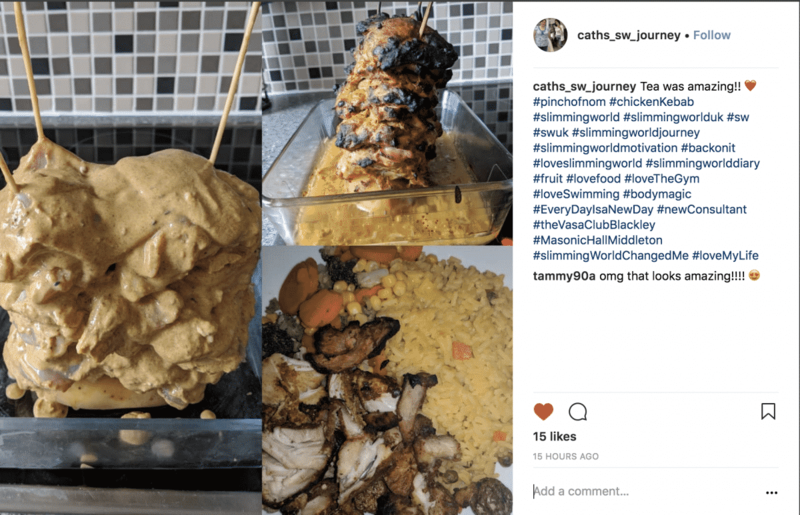 One of our Instagram followers @caths_sw_journey made our Syn Free Chicken Kebab and loved it! Time for a little bit of an Indian influence to proceedings now with our 2 Syn Chicken Korma Curry. This is another of our favourite fakeaway dishes. Often found in an Indian restaurant packed full of Syns from the high levels of cream and ghee. As good as it’s likely to taste, it’s no good for a Slimming World member! 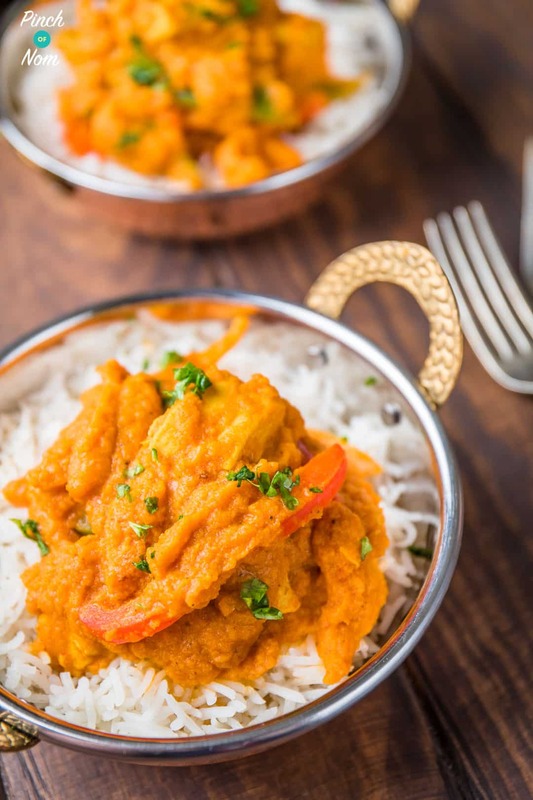 2 Syn Chicken Korma Curry is one of your favourite Slimming World chicken recipes that we have to offer, with so many people choosing to cook this instead of heading for the takeaway, wise choice! 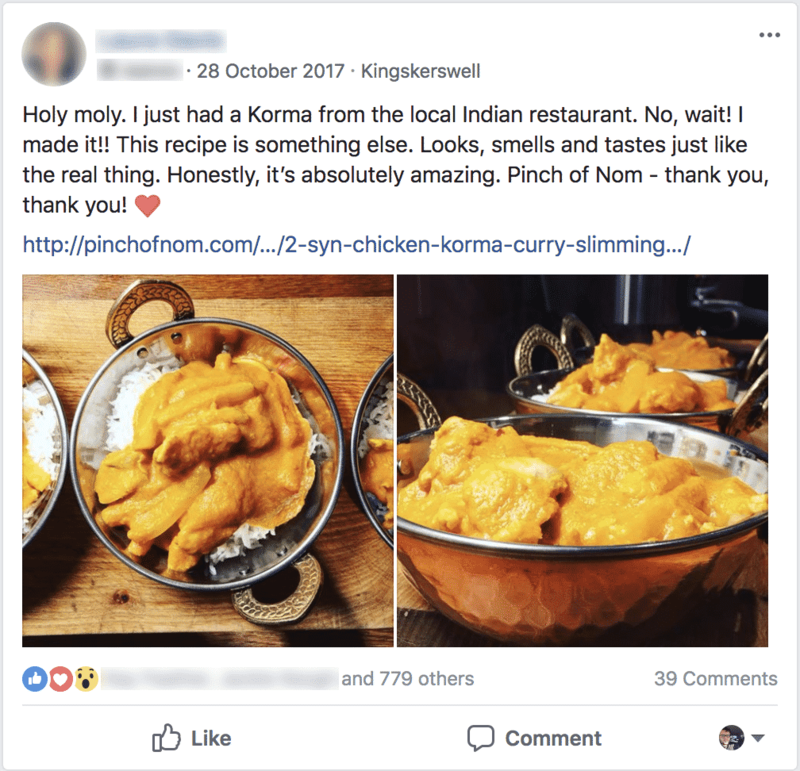 There’s plenty of people over on our Facebook group who have cooked 2 Syn Chicken Korma Curry and have absolutely loved it. One of the many Italian dishes we’ve got on offer now, it’s our Syn Free Chicken Alfredo Tagliatelle. Our Syn Free Chicken Alfredo Tagliatelle – beautiful and adaptable! This is a dish that is usually found as a heavily Syn-ed menu choice in Italian restaurants. However, we worked out a way of utilising your Healthy Extra A choice. Ensuring that you get all the creamy goodness and taste to make it a lovely Slimming World chicken recipe. Our Syn Free Chicken Alfredo Tagliatelle is a great way of using your Healthy Extra A choice, our Facebook group loves it! 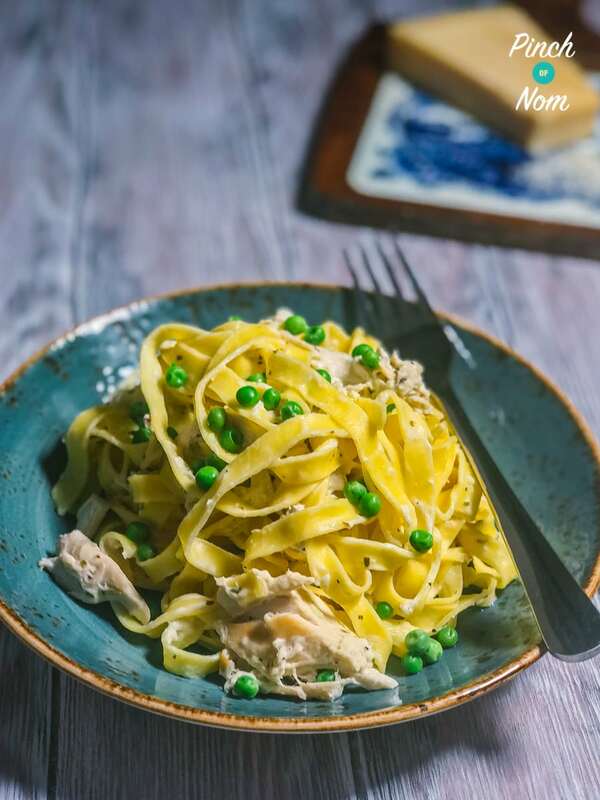 As this Facebook group member has done with her Syn Free Chicken Alfredo Tagliatelle, you can add Speedy veg to the dish to make the dish exactly how you want it! 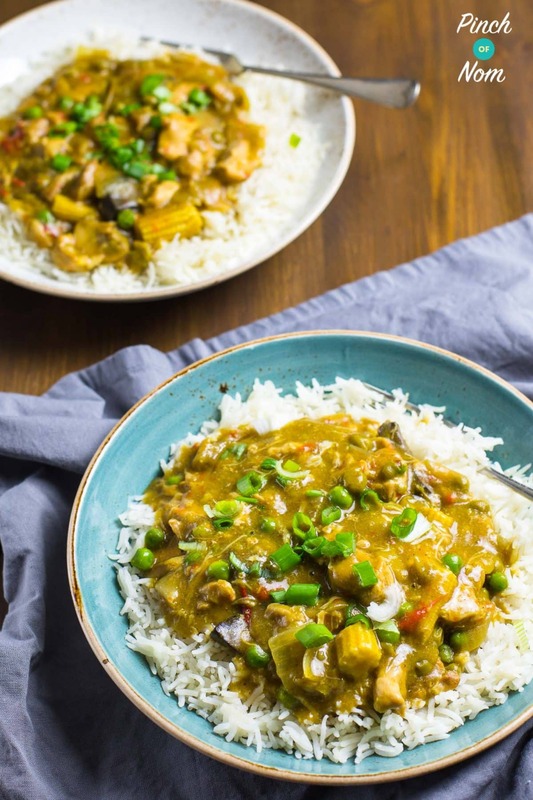 Our Low Syn Chinese Chicken Curry was thought of after receiving lots of questions asking how best to use Mayflower curry sauce mix – a Slimming World favourite! 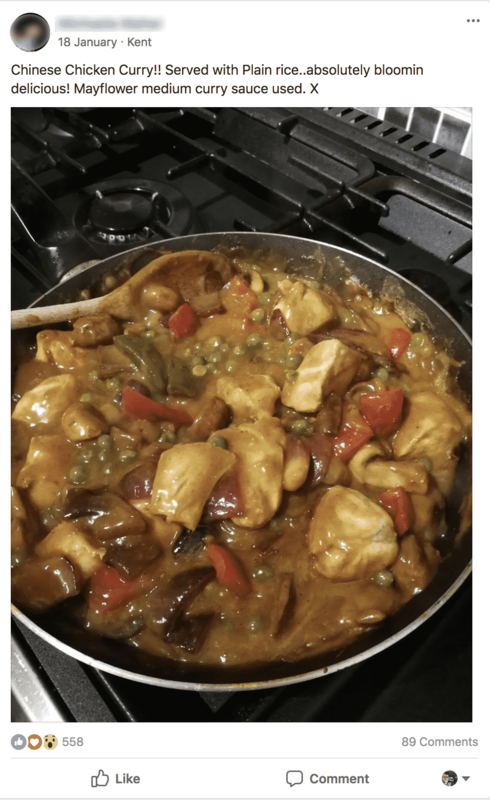 What we ended up with was a Slimming World chicken recipe that was super simple and only takes a few steps of cooking to make an amazing Low Syn Chinese Chicken Curry. It’s all done in the slow cooker. It really is a ‘bung it in, wait for it to cook, bosh!’ sort of meal. 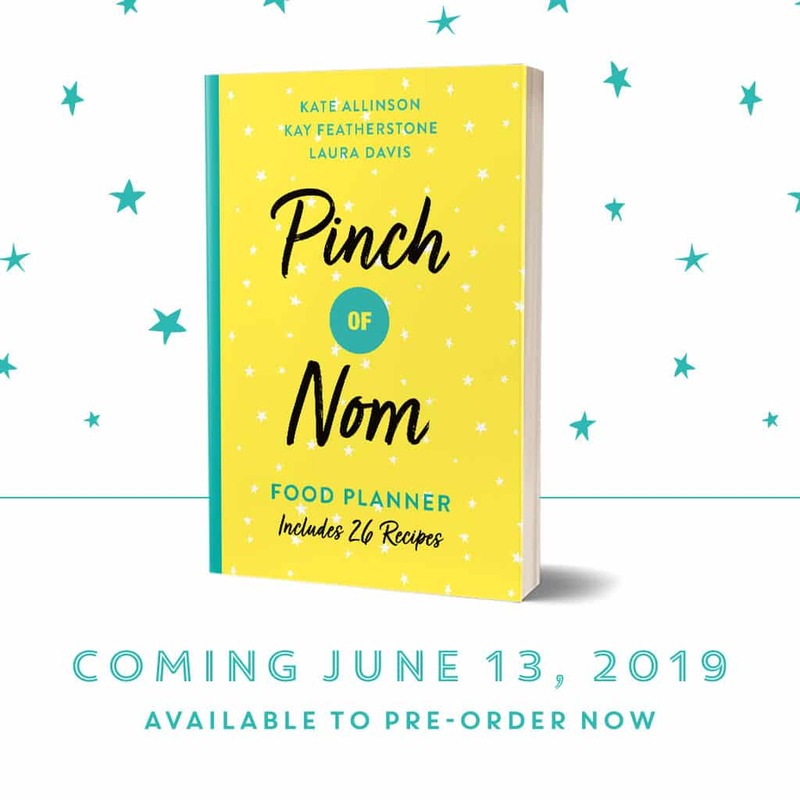 Great for busy families and is sure to make your kitchen smell amazing after a day of cooking! 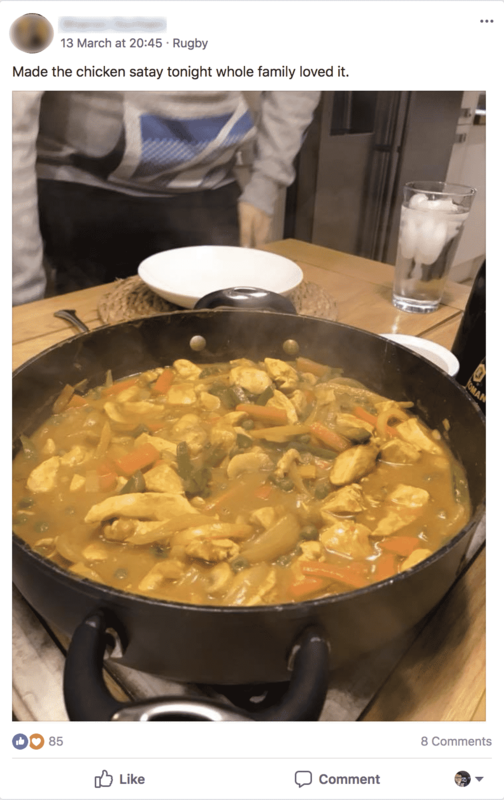 One of our Facebook group members who has tried our Low Syn Chinese Chicken Curry and loves it! As with lots of our recipes, it’s really popular over on our Facebook group, with so many people giving it a go with brilliant results. 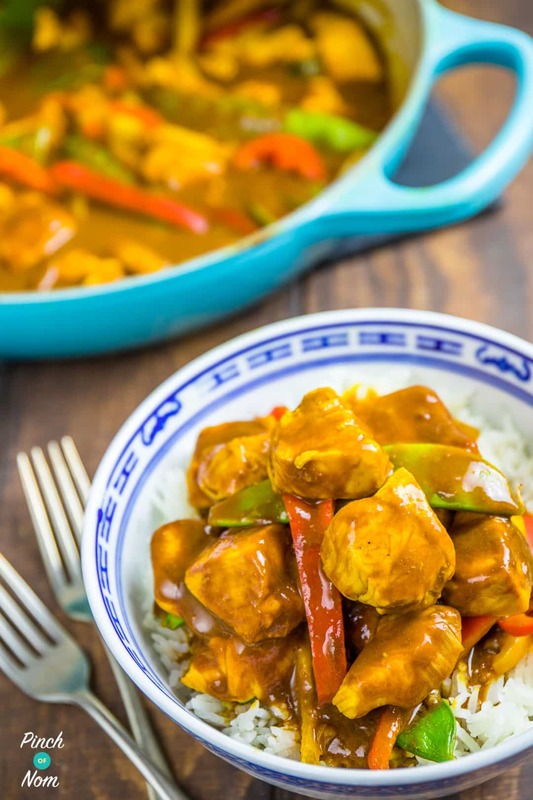 Keeping with the Chinese fakeaway theme, our 1 Syn Chicken Satay is another popular fakeaway option for those who wish to recreate their traditional takeaways for a healthier Slimming World chicken recipe. By using an alternative to normal peanuts, which can be high in Syns. 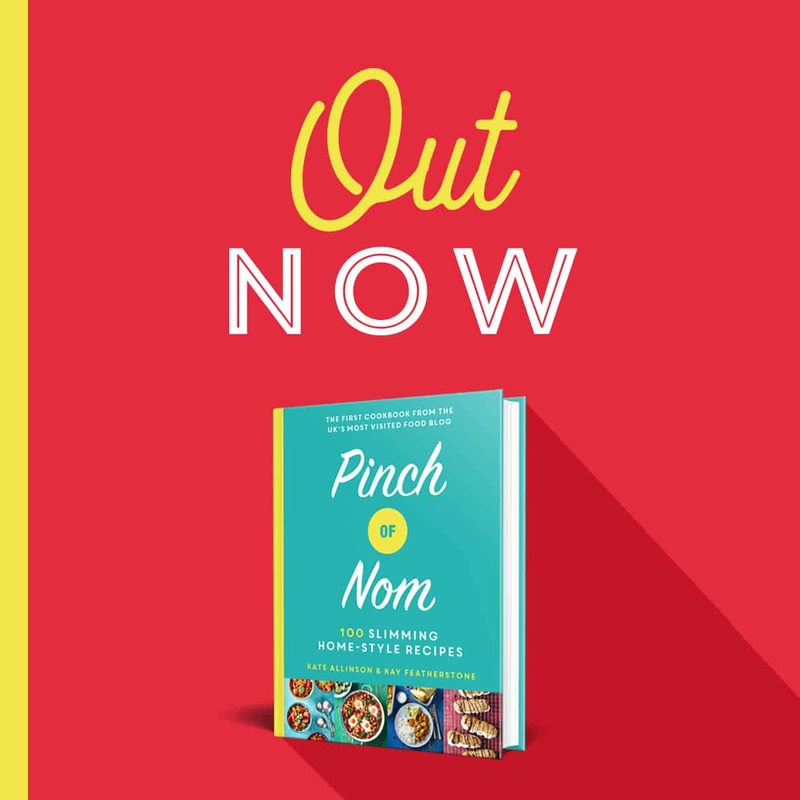 However, this dish is a perfect low Syn alternative to the usually high Syn option you might get at your local Chinese takeaway. Our 1 Syn Chicken Satay has also proved popular with those cooking for their families. Many of our fakeaway recipes are so good, that even those who don’t usually have Slimming World chicken recipes still love them! One of our Facebook group members getting in on the fakeaway action with their family with their take on our 1 Syn Chicken Satay!